Whether or not you suffer from severe back pain, your mattress should be able to support your spine properly. Many people learn this lesson, the hard way. A majority of the consumers ignore the significance of lumbar support when it comes to lying down on a mattress. After continuous neglect, they develop excruciating back pain which makes their life a living hell. It is necessary for your mattress to support your pressure points. Otherwise, it can cause sleep disruptions and one might as well bid farewell to pain free-rest. If you are an offline shopping enthusiast and prefer testing mattresses before buying them, it's important to know a few tips to compare many different types of beds. Really, it's not much of a hassle once you know what you should be looking for! 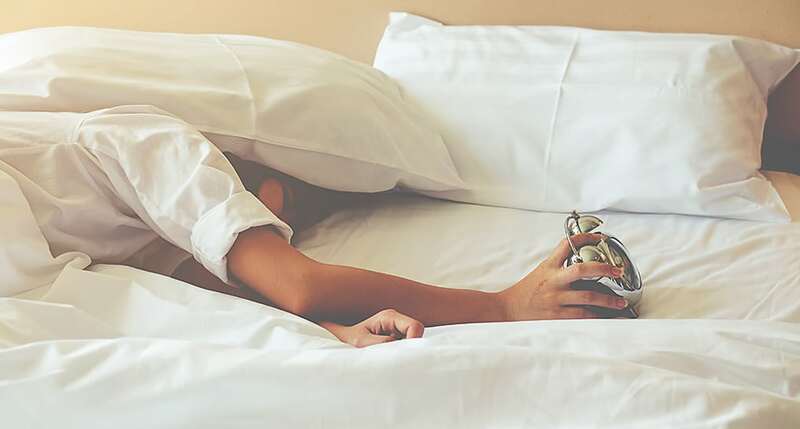 So here are 6 sure-fire and proven ways you can find the best mattress for your back while browsing through options at a showroom. If you are prone to back pain issues or are a regular back sleeper, the mattress firmness level is one factor you ought to consider before anything else. In order to test the mattress firmness, you need to lie down on the bed for at least 10 minutes. Mattress manufacturers offer various comfort levels, ranging from soft to firm. Each firmness level provides a different type of support. While some people might prefer the hardness of a firm surface, others might enjoy sleeping on a more plush bed. Experts suggest that you can never go wrong with a medium-firm surface to reduce back pain. This comfort level keeps your spine aligned and induces conformability and support. 2. Pay Close Attention To The Lumbar Support Feature. 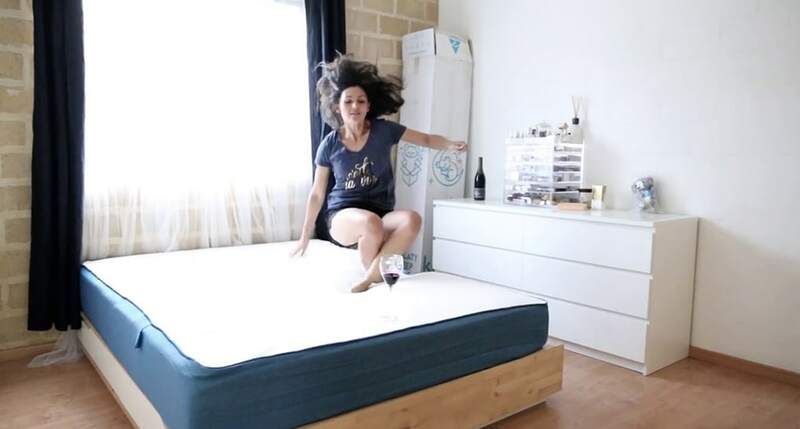 While testing out the mattress firmness level, notice if it is promoting adequate lumbar support. This means whether or not the surface is contouring the pressure points of your body. For example, your shoulders, hips, neck, knees, legs, head, and/or lower back. If these pressure points do not get enough support all night long, you might develop postural alignment issues. A real pain in the back! According to mattress experts, the best mattress for your back will have supportive padding that does not throw your spine out of alignment, and simultaneously, serve as a super comfy surface. So if you are dying to get your hands on the perfect bed for back pain, pay close attention to the mattress lumbar support feature when testing tons of varieties. The sleeping style refers to the position you assume when you are slumbering. There are three main types of sleepers: back sleepers, side sleepers, and stomach sleepers. Lumbar support is equally necessary for each of these forms. And with respect to your body weight, the support requirement of the mattress change as well. So whether or not you sleep on your back, choose a mattress surface that is suitable for your posture or spine. Everyone has varying sleep styles. You and your partner may also have different preferences when it comes to mattress choice. It often leads to an uninterrupted night's rest due to continuous toss and turns. So it is vital you consider your own as well as your partner's sleeping position when trying out different sleep surfaces. It will not only save you the hassle of returns and refunds but also improve your snooze experience. Just as you shouldn't get impressed by big brand names, you should also be mindful of the pricing. A lot of companies deliver low quality sleep products as high-end, luxurious choices. In reality, expensive merchandise doesn't necessarily equate to enhanced comfort and overall support. We must warn you: the salespersons at various showrooms might attempt to drag you to the pricey products. They'll promise you benefits for your back pain that you never even heard of. Don't fall for it! The marketing manager of The Original Mattress Factory, David Phillips, says, "If the least expensive [mattress] is the most comfortable, then that's the best bed for you." So if a cheap mattress feels comfy, and your gut's screaming the same, it is good enough for your back. And we encourage you to go for it! Let's be honest. No one has the time, energy, or the bucks to get a new bed every month. When you buy a mattress, you trust it enough to last longer than an average tortoise. Okay, maybe that's a stretch. But let's not get bogged down in numbers here. What you really expect is for your bed to have the strength and durability that would resist immediate sagging. Especially if you are planning to use your mattress on a regular basis. Longevity of the mattress will be essential in this regard. But how can you test the longevity at a showroom? Short answer: You can't. Long answer: You need to experience the feel for months and years to actually decide if the mattress is durable enough. However, you can always read the customer reviews to get an idea about the durability of a bed. Consumers have interacted with their purchases long enough to give you an insight on what you should expect in terms of performance and quality. In case of any doubt, check out the unbiased, customer and professional reviews for different mattresses at SleePare. We keep it real and honest! When testing numerous mattresses side-by-side, it is crucial to explore the various construction designs and materials offered on the market. You will come across natural and organic products as well as synthetic materials. Many companies offer pillow-tops or such mattress toppers that give you enhanced back comfort. Likewise, you should consider the mattress categories. Check out the collection of foam, memory foam, innerspring, hybrids, latex, waterbeds, and air mattresses at the showroom. Take your time and try out every bed to find the best mattress for your back. Professional sleep experts say that hybrid mattresses offer better support than pure foam or spring beds. Especially the hybrids comprising pocketed coils, as they promote pressure-relieving comfort and motion isolation. Thus, they are an excellent choice for couples who are back sleepers or any sleeper with back pain issues. Are you tired of traveling around the city visiting every brand's store to test their sleep products? Want to try out numerous popular bed and bedding items at one place? Well, you are in luck because SleePare has your back — literally! An emerging name in the sleep industry, SleePare is a review platform designed to help you find the best mattresses to suit your lifestyle and needs. We offer in-depth reviews for a wide range of mattresses, pillows, and bedding essentials. Besides, you can visit the SleePare showroom. Sporting a comfy and cozy ambiance, the display center allows you to lie down and compare different mattresses in a relaxing atmosphere. You can even take a nap — for free — and enjoy an Espresso before you leave! So what are you waiting for? Drop by our New York showroom and let us know what type of products you seek. 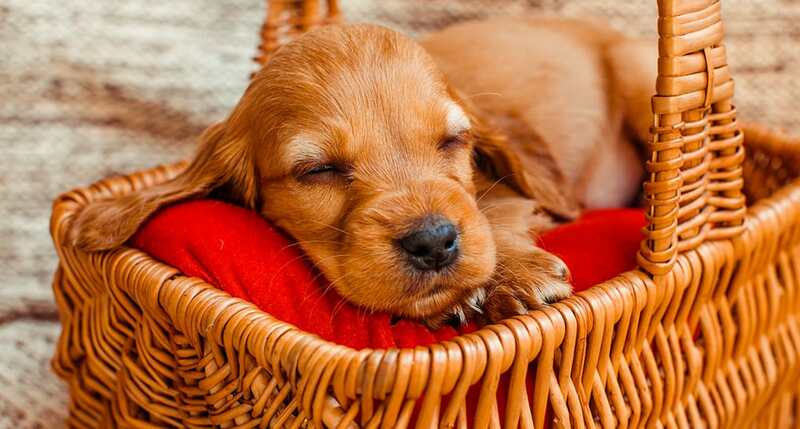 Let our sleep experts do the rest!